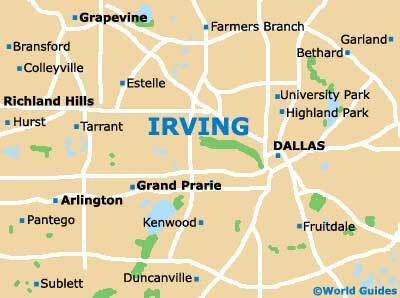 With the borders between Irving and its neighboring cities of Dallas and Fort Worth being as vague as they are, it is reasonable to suggest that museums falling within the limits of these three cities are accessible to Irving visitors. Dallas offers the best selection of cultural attractions close to Irving, with its impressive African American Museum being one to look out for, while in strictly Irving territory is the National Scout Museum, a must for anyone who has ever been a part of the Boy Scout movement. Also in the city is the ever-popular Mustangs of Las Colinas Museum, which celebrates the history of this famous bronze equestrian sculpture. The Mustangs of Las Colinas has become an iconic symbol of the city and interestingly remains the world's largest sculpture of its kind, and easily the most striking. 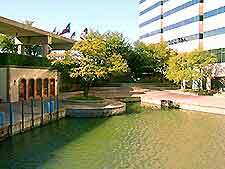 The Age of Steam Railroad Museum is situated just outside of Dallas in the grounds of Fair Park. The facility offers visitors the chance to view some displays and memorabilia chronicling Texas' golden age of steam rail. Among the displays are a number of steam engines that have been restored to their original magnificence as well as others that tell stories of train travel from throughout the ages. The African American Museum is a center dedicated to the preservation of the history and heritage of African Americans in the Texas area. 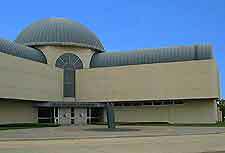 The facility is reputed to be home to the southwest's finest collection of African American art and folk culture. Visitors have access to a large variety of exhibits distributed across four galleries. The American Museum of Miniature Arts is an appealing attraction with interest for both the young and young at heart. Visitors will delight in its magnificent collection of well preserved antique doll houses and toys among other miniature artifacts. Located just outside Irving in nearby Fort Worth, the Amon Carter Museum is home to an extensive collection of American art, covering everything from the country's first landscape painters to modern 20th-century artists. Besides viewing gallery exhibits, visitors have access to the center's photographic collection, which contains in excess of 30,000 images. The Frontiers of Flight Museum situated in nearby Dallas offers visitors the chance to view its amazing collection of both genuine aircraft and aerospace-related paraphernalia from over a century of air travel. Don't miss out on seeing the remains of the famous Zeppelin air balloon, part of the onsite 'Lighter than Air' collection. Situated in the West Tower of Williams Square, the Mustangs of Las Colinas Museum is a center dedicated to tracing the story behind Irving's most stunning and famous landmark, the Mustangs of Las Colinas. A video presentation chronicling the creation of the sculpture from its conception to execution is available for all to see and screenings run throughout the day. A gift shop selling unique Mustang-related souvenirs and products is also present on site. The National Scouting Museum is a facility dedicated to preserving the history and heritage of America's Boy Scout movement. Visitors have access to interactive exhibits, a historical Scouting collection and a gallery exhibiting works by Norman Rockwell.